Bung King is already dropping parts for the new Harley Davidson Softails, the bike everyone can’t stop calling the Harley Softail/ Dyna. Sorry guys it’s a Softail, the Dyna is dead. 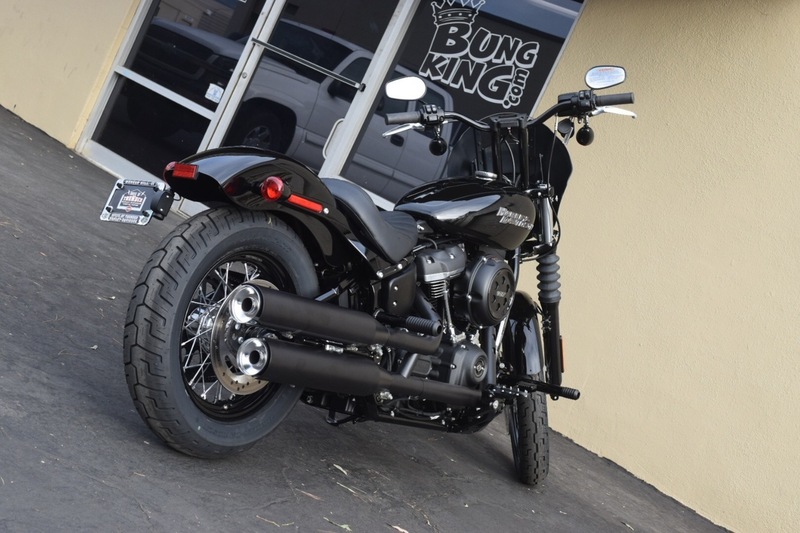 They already have there very popular Crash Bars ready for the new models, along with Fairing Brackets that fit stock Harley Davidson Fairings, Frame Sliders, and Tall Risers. That’s basically everything to prevent you from damaging those fresh new tins on your first wheelie with the new steed. Saving those brand new tins!